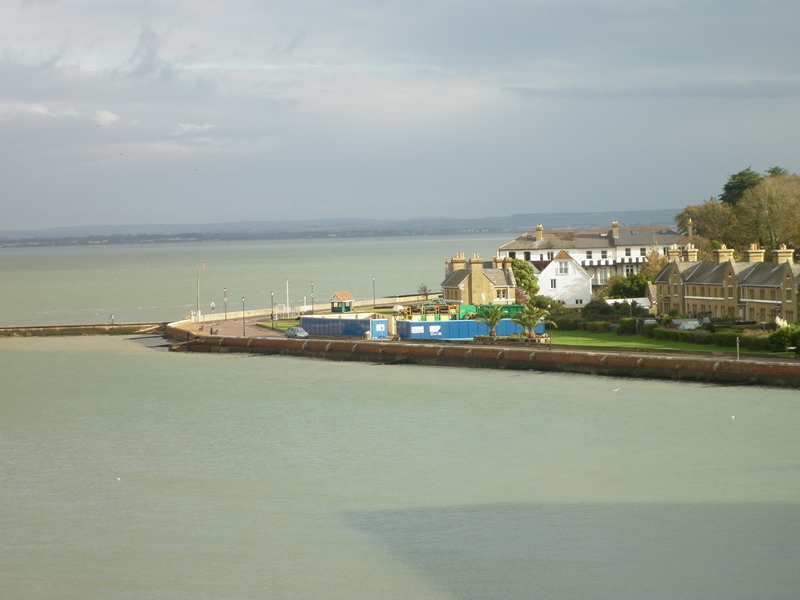 The project involved the replacement of an existing 400mm sewer with a new 500mm pipe over a distance of 550m from Cowes to East Cowes, Isle of Wight. 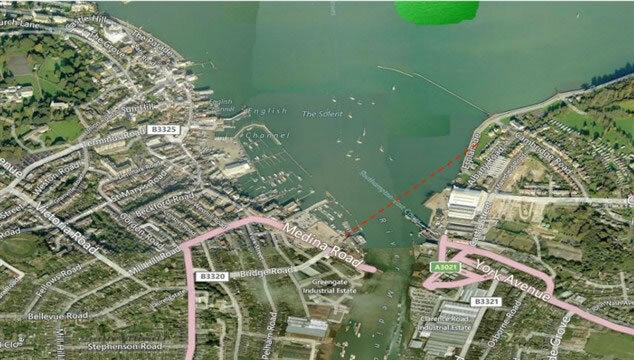 As part of Southern Water’s £10.5 million investment in works to replace 30km of sewers across the south east of the UK, AMS No-Dig were contracted by main contractors Clancy Docwra to install the new 500mm sewer pipe over 500m from Medina Road in Cowes to The Esplanade in East Cowes, Isle of Wight. The entire length of the drill was beneath the bed of the River Medina at depths of up to 25m below the river bed. Due to the nature of the drill, traditional ‘walk over’ tracking methods could not be used to track the drill head’s progress, so AMS used a hi-tech Gyro steering tool. The DrillGuide GST system is an optical gyro tool that does not require any surface wire grids to guide the drill bit. The accuracy of the Gyro Steering Tool is 0.04 degrees azimuth and 0.02 degrees inclination, allowing the new pipe to be installed with pin point accuracy even over the 550m length of this drill shot. Due to the limited space available at the drilling compound in Medina Road, AMS opted to use the Powerbore 70t Drilling Rig. The rig is very compact at 10m x 2.2m and when considering it offers 70 tonnes of thrust and pullback it proved to be the ideal choice for this application. 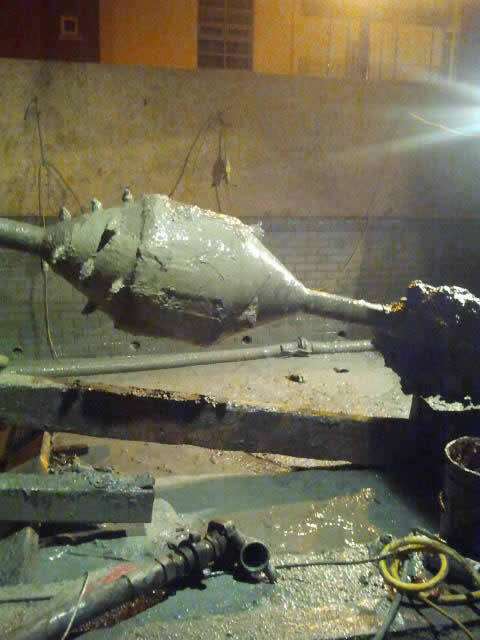 The drilling fluid adhered cuttings which were removed from the hole were processed using one of AMS No Dig’s bespoke mud management systems. The innovative modular design consists of an 18,000 litre mixing tank, a mud cleaning system and two 26,000 litre storage tanks. This arrangement provided optimum flexibility in terms of both site planning, as dictated by circumstances on the ground, and operational requirements. 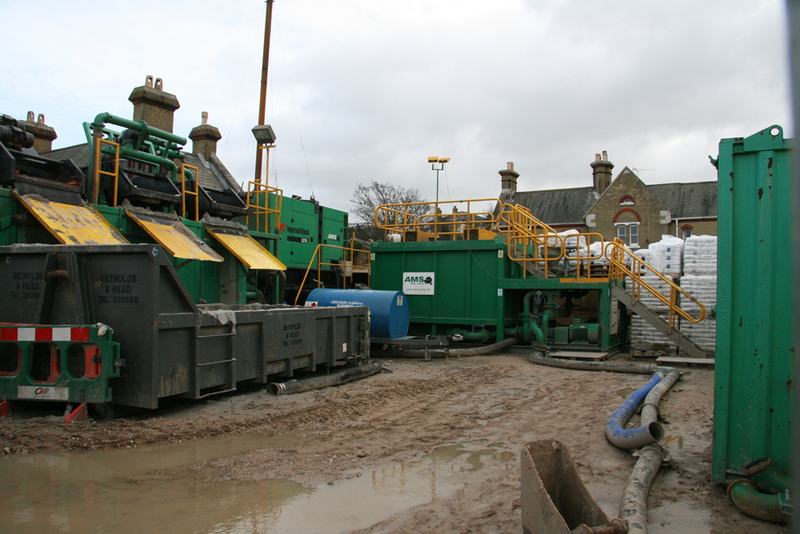 The high performance recycling unit has been custom designed to process 3000 litres of high viscosity drilling fluid per minute. Screening is carried out using the revolutionary pyramid screening system which ensures consistent cleaning down to 20 microns. 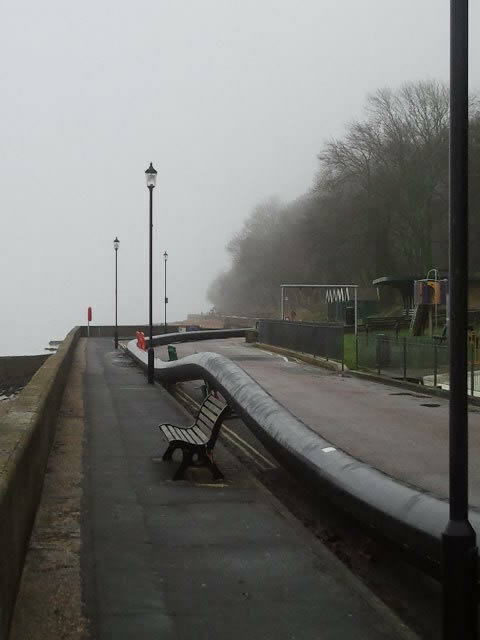 This project was featured in the latest edition of UK Water Projects Online – to see this Case Study, click here. 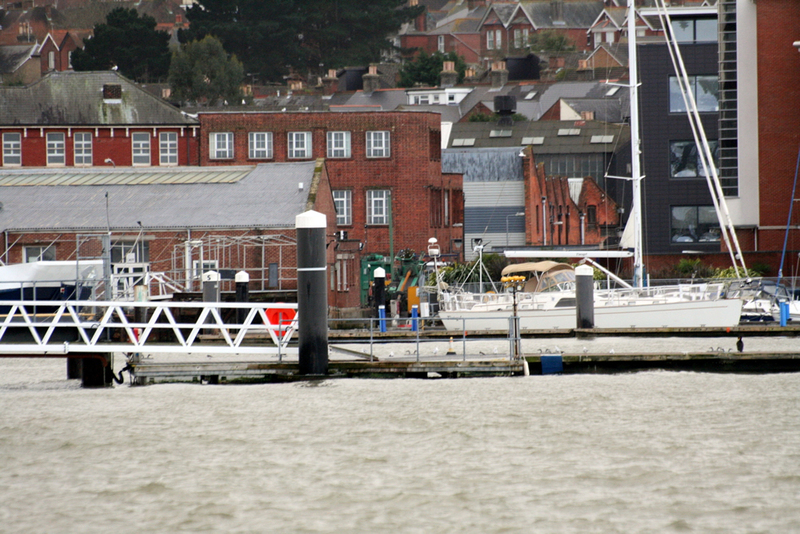 The location of the launch pit with the rig in the background. The narrow confines of the site can be seen.